Lee Perry Boxset: 'I Am the Upsetter' World music critic Milo Miles reviews the new boxset I Am the Upsetter, by Jamaican producer songwriter and singer Lee "Scratch" Perry. In a long and varied career, Perry went from helping to shape the sound of reggae to becoming an icon in his own right. 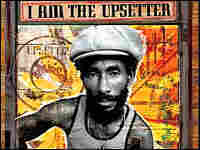 World music critic Milo Miles reviews the new boxset I Am the Upsetter, by Jamaican producer songwriter and singer Lee "Scratch" Perry. In a long and varied career, Perry went from helping to shape the sound of reggae to becoming an icon in his own right. His frenetic singing style and idiosyncratic musical tastes have won him legions of fans.